With Christmas and New Year’s Eve being right around the corner, I decided to speak about how you can make your home as festive as possible by using the magic of rentals! As an event planner in Calgary. I’ve used Special Event Rentals (SER) many times, not only for my corporate events, but also when I’ve hosted people in my own home. There’s no need to stress about additional china and flatware, instead let someone else worry about and provide all of that and afterwards simply pack them up and SER will take care of the rest! 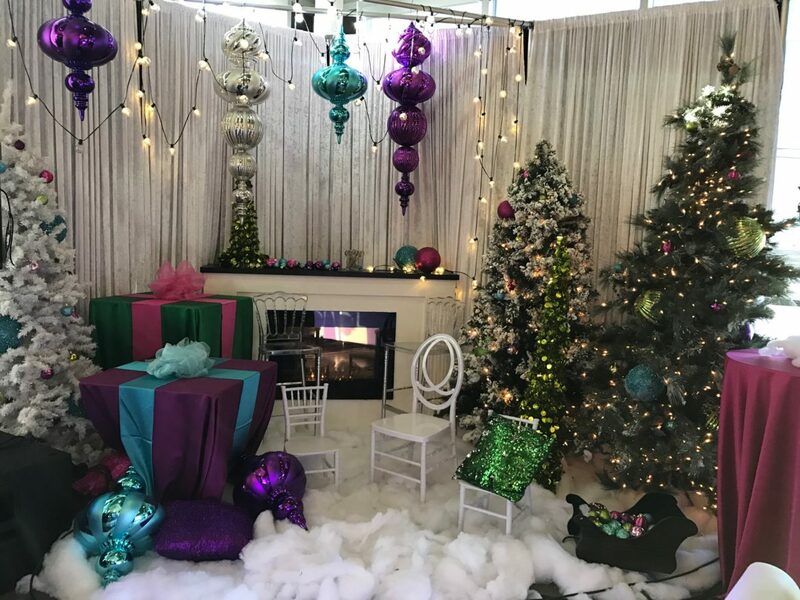 I spoke with Darren Kershaw, owner of Special Event Rentals, about some little known facts that might help you prepare for your own holiday celebration this year. Q: What are some of your most popular items that people can use to host a holiday party and take it to the next level? A: We have a huge selection of “ice” items, from bars to Christmas décor items and even Christmas trees. Some of our staff have also provided custom-made Christmas settings for the tables. Q: What are some items you carry that people might not think about that could take their event to the next level? A: We purchase different items every month and between our four locations that results in a variety of amazing items. If you’d like to learn more about what we have, please check our website at https://calgary.specialeventrentals.com or call us (403) 235-2211 and let us know what you are looking for. We have everything ranging from air star inflatables to small and large-scale Christmas décor. Q: What are your policies around pick up and returns in the week around Christmas and New Year’s? A: We have customers that pick up Thursday for a Saturday event and return Monday. We also provide delivery and pick up service for a fee. Q: Are there any other additional services that SER offers? A: We provide set up and removal for all of our rental items. However staging, dance floor and pipe and drape includes the set up fee in the price. Q: What are three things you want people who are considering renting for the first time to know? What power is available and where is it coming from? This is something that is frequently over looked. Sound (speakers), lights and catering all have power requirements. How do we get the items to the space they want? Some locations do not have freight elevators or loading docks and loading in the front doors is not an option. This makes it very difficult to have the event. Just a reminder that if you don’t use Special Events Services or a Special Event Planner, your event may end in a disaster. I must admit that I whole-heartedly agree. Having a rental company like SER in the city helps all of us navigate the holidays with less stress and therefore allowing us to enjoy our guests that much more!